Ladies Leaf Pewter Brooch An elegant finishing touch to your outfit. 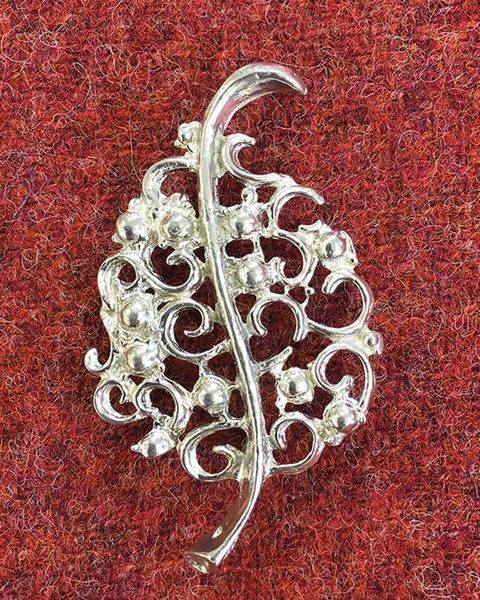 This has been purchased for a Christmas gift but I know that the recipient will be very pleased with it, she is always looking for articles and jewellery made in pewter. A nice, retro design, now all in fashion again. "This has been purchased for a Christmas gift but I know that the recip ..."
Handcrafted fine pewter brooch supplied in a presentation box. An elegant finishing touch to your outfit.